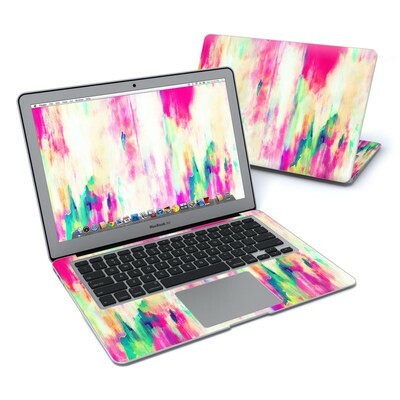 Remember, we offer over 1000 pieces of art as skins for your Apple MacBook Air 13" (2008 to 2017). Looks good on my Air. people always ask me about it. The sticker is durable and wipes clean easily. The Decal Girl Skins fit perfectly and make every device unique! I love that! The quality of the sticker is really good. It's slightly stretchy and thick so it was pretty easy to stick on. My only qualm is that i thought the skin would go around the sides or at least cover the top more. It looks like i have about 3-4mm along the sides that isn't protected at all so for a moment i thought that maybe i ordered the wrong size. Love the design though! Wish i could post pics, so you can see how wonderful it is. It comes with two smaller squarish pieces inside which i am not sure what it's for. I'm not going to lie....I was a bit skeptical about any sort of "decal," only because the few that I've purchased from Zagg prior to them discontinuing them went bad after a few months of being on the device - skin would separate and be ruined within three months. Surprised my wife with a new MacBook Air and when the Matte Streaming Eye skin showed up, I was completely shocked!! The color, the clarity, and the durability of it is flat out awesome!! I could not believe how clear the picture, especially on the material. It's going on three or four months now and still looks brand new!! Needless to say.....I'm ordering three custom ones for three different devices. Love the colors, love the picture! I love how crisp and clear the image is. It goes perfectly with the decor of my home. And I love that when I get tired of it, I can change it for another design by the same artist! It’s pink and it’s beautiful for MacBook Air. Thank you. It's so vibrant and as always so easy to install. Awesome design, superb quality and perfect fit on my macbook air! Could not be happier! Thank you! This skin looks sooo good on my silver MacBook Air! I was bored of my computer case and purchased this on a whim. This is one of my favorite impulse purchases now! It's super thin and easy to apply. I will probably get a clear case to go over it just to protect from drops(I'm slightly clumsy lol). Overall 10/10 would buy again. Just got it and applied it. Fits perfectly, seems durable, and looks awesome! My custom image came our looking great! So far, so great! Very well made, lines up well and forgivable when mistakes were made while applying. Makes my MBA look even classier ! I loved this oen so much I bought it twice and got so many compliments on it. The color is so vibrant and soothing I never got tired of it. 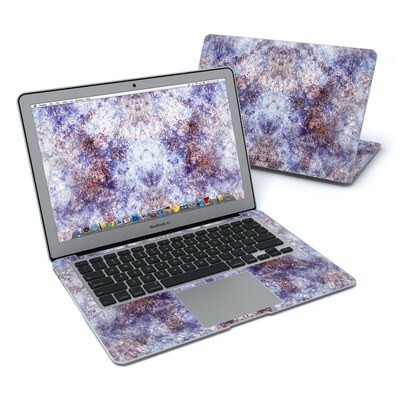 The marble is a perfect design, it looks awesome on the front of my Macbook! The only thing I don't like is the logo cutout leaves a big gap and isn't an exact cutout. Even though the design is clear and just like the photos, the decal did not fit my 13 inch macbook air that it advertised on the decal. I knew it didnt match as it had a power button space (something a macbook pro has) and also it was just a little bit smaller and didnt fit the whole laptop. Other than that, pretty happy with it. The quality of the skin is really good. It has some stretch to it and is thick so it makes it easy to put on. My only qualm is that i thought it would cover the sides or at least the top fully but it seems like i have about 3 to 4mm exposed along the sides and a 1 to 2mm above and below. So it doesnt cover the top completely. I was a little concerned i might have gotten the wrong size but after looking at the pictures i think it wasn't supposed to cover all the way. I love the design though!! Love love love it! 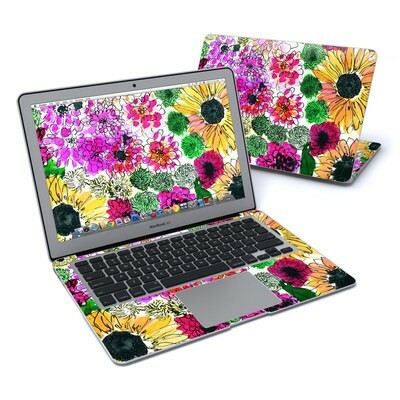 I bought the Lily skin for a macbook about 4 years ago. The decal lasted until I had to pull it off a few days ago. It did not leave any residue. The decal worked great and always received great comments. I am currently looking for another decal for a new computer. Absolutely love it. Kept my macbook neat and protected practically weightless. Looks awesome, so easy to apply! Biggest waste of money ever. The design was really pretty but when i put it on my laptop it was short. It looked as if they did not cut it the right way. I was high disappointed it was such a waste of money. This was such a nice decoration for my laptop! Fit perfectly and the online tips for application were super helpful. 5/5 would buy again. I have had this skin on my laptop ever since I first got my computer in 2011. It has lasted 5 years and is still in perfect condition. I always get compliments on this skin, and it has held up extremely well. Perfect for my teen writer! It's a gift for my sister. She loves it. It's simple and does the job. I wanted a simple skin that would cover the casing and protect it from the effects of moisture over time. I'm very happy with this skin! 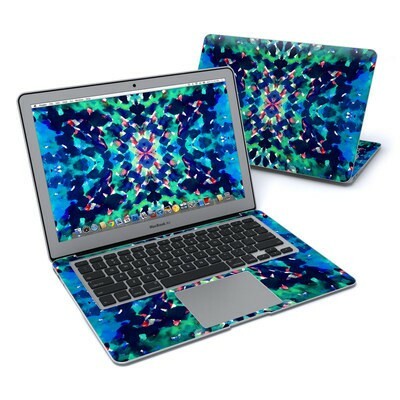 I got different skins for my macbook and am constantly being asked where I got them from. They fit perfectly and I love them. I'm just sad that there are only two coverage areas on my laptop!